Product contains milk, wheat, almonds, cashews, pecans, and pistachios. Produced in a facility that also processes soy, egg, peanut, and tree nuts (coconut, walnuts). 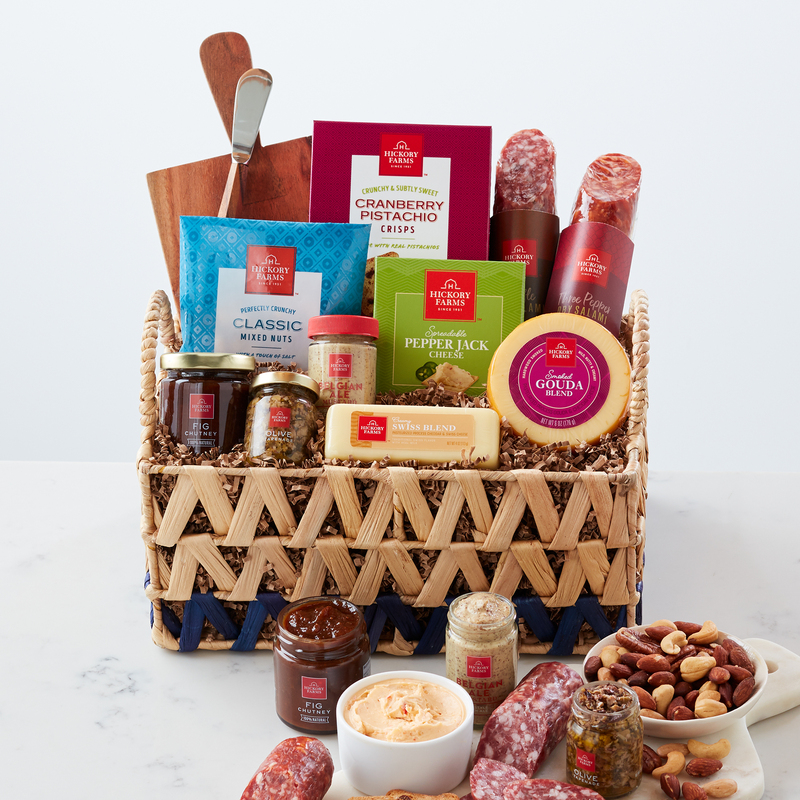 A delicious charcuterie spread is the perfect addition to any party, and this gift has everything you need. Savory salami, smooth and creamy cheeses, and unique toppers like mustard, chutney, and tapenade make plenty of delicious combinations. Serve with Cranberry Pistachio Crisps and mixed nuts for added crunch. This gift even comes with a mini cheese board and cheese spreader for effortlessly chic serving!